Dining – 8% cash back at restaurants, cafes, and bars worldwide. Petrol – Up to 20.88% fuel savings at Esso & Shell, and 8% cash back at other petrol stations. Groceries – 8% cash back at supermarkets and grocery stores worldwide. Grab – 8% cash back on Grab (till 30th June 2019). All Other Retail Spend – 0.25% cash back, no cap. Apply now to get S$120 cash back and enjoy 8% cash back on Dining, Grab, Groceries and Petrol, worldwide. Up to 5% cash rebate on all spend. Additional 10% rebate on mobile payments. Up to 21.7% petrol savings at Shell and Enjoy an additional 1% SMART$ rebate. Additional 10% SMART$ Rebates at over 300 participating merchant outlets. Apply online and get up to S$200 worth of cash credit. 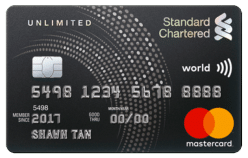 The UOB one card is a favourite for most Singaporeans as its offers incredible discounts and cashback rewards across such a wide range of spending categories. 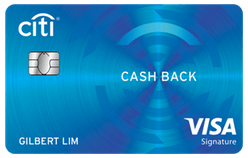 With a 5% cash back on all spend this card offers the highest cash rebate in the market for a monthly spend of S$2,000 per month. 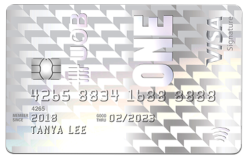 What’s more, the UOB One Card offers huge fuel savings of up to 21.7% at Shell and 24% at SPC. However the rebate is capped at $1,200 a year or $100 a month, so if you were planning on receiving a 5% discount on all your annual spends then think again. UOB brings you one of the best fuel savings offered by any credit card in Singapore, at 98 locations islandwide. Cardholders enjoy up to 21.7% at Shell and 24% at SPC. Plus enjoy an additional 1% SMART$ rebate and get a S$10 Shell fuel voucher* when you pay for parking with UOB One Card (Simply register and make a minimum of 5 transactions on Parking.sg with your UOB One Card). 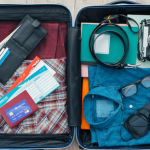 The UOB one card, like many cards, offer a basic free travel insurance package to all cardholders if you purchase your flights or travel arrangements with the UOB credit card. Cardholders can enjoy the following. *The specific details applicable to this insurance are set out in the Insurance Certificate and Agreement which is the operative document. Terms, conditions and exclusions apply. Please seek advice from a qualified advisor if in doubt. Enjoy up to 3.33% cash rebate based on a spend of S$500 or S$1,000 monthly for each qualifying quarter with minimum of 5 purchases monthly to earn the quarterly cash rebate of S$50 or S$100 respectively. 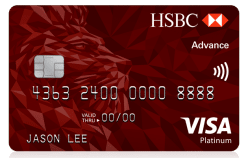 Enjoy up to 5% cash rebate based on a spend of S$2,000 monthly for each qualifying quarter with minimum of 5 purchases monthly to earn the quarterly cash rebate of S$300, which works out to be S$1,200 cash rebates a year. Each qualifying quarter consists of 3 consecutive statement periods. Maximum effective interest rate (EIR) on the One Account is 1.60% p.a. for deposits of S$50,000, provided customers meet the criterion of S$500 Card Spend in each calendar month. Maximum effective interest rate (EIR) on the One Account is 2.43% p.a. for deposits of S$50,000, provided customers meet both criteria of S$500 Card Spend AND (a) min. S$2,000 salary credit via GIRO OR (b) 3 GIRO debits in each calendar month. EnjoyCompare is an independent information provider. It is not a bank or financial services provider, and cannot give direct financial advice. The content of the comparison website provided by EnjoyCompare is provided “as is” for general information purposes only. It does not constitute advice nor does any part of the content constitute an open offer capable of forming the basis of a contract. It is up to the user to ensure information is accurate at the point of submitting an application on the suppliers website.